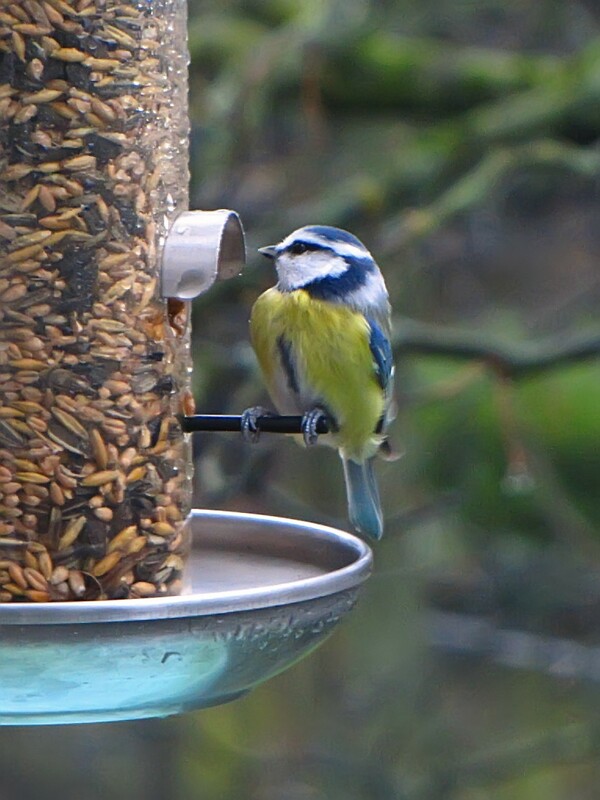 At least one of the photos of the Bluetit turned out not to be blurry – everything was moving! The camera moved (no time to set up the tripod! ), the birdfeeder moved and the bird itself moved.